This list of free movie apps will put hundreds of free streaming movies at your fingertips. Install them on your smartphone or tablet and you'll be ready to watch the free movie of your choice in only a few minutes time. Not only do these free movie apps allow you to watch movies, but many also let you stream TV shows right from your phone or tablet. This is a great way to catch up on your favorite shows when you're on the go. 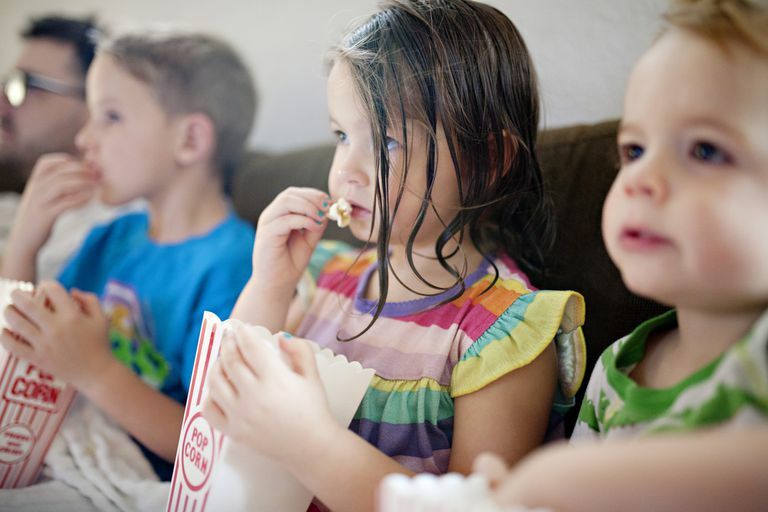 The free movies you can access from the free movie apps include comedy, action, horror, drama, documentary, family, and many other types of films. There really is something for everyone. Look at the bottom of each profile to see what devices are supported with these free movie apps. Sony Crackle supports just about every device imaginable, including all popular mobile devices, most smart TVs, streaming players, and gaming consoles, in addition to a regular web browser. The interface is easy to work with and the videos stream smoothly. You don't have to log in to watch movies and TV shows, but the option is there if you need it. The Sony Crackle mobile app works with iPhone, iPad, iPod touch, Android, BlackBerry, NOOK tablet, Kindle Fire tablet, Windows Phone, Sprint TV-enabled devices, T-Mobile TV-enabled devices, Amazon Fire TV, Roku, Apple TV, Chromecast, PS Vista, Xbox 360, Xbox One, PlayStation 3, PlayStation 4, Windows, Sony/Samsung/LG/VIZIO/Toshiba TV, and Sony/Samsung/LG/Toshiba Blu-ray players. The Tubi app looks almost identical to the desktop website, but it's optimized so well for mobile that it's super easy to use. The very top of the app has the same featured films that scroll across the top of the website, with all sorts of different genres mixed in. All the same genres and the search tool are available through the Tubi app as they are on the website, and every movie cover is large enough to see without having to tap on them. Choosing a movie will take you to its description page where it shows the release date, duration, rating, and genre. You can download Tubi for iPhone, iPod touch, iPad, Apple TV, Amazon Fire TV, Android, Roku, Chromecast, Xbox 360, Xbox One, Samsung TV, and Samsung Blu-ray players. Vudu is well known for movies you can buy, but if you're fine with the occasional ad, you can watch thousands of movies for free, too. Viewing only the free movies at Vudu is easy; just open the Free page at the bottom of the app or browse for movies that have the FREE WITH ADS label. From there, you can look through all the free Vudu movies by the ones that are new this week, are the most popular or are in specific genres. Something else you can do is see all of Vudu's free movies on their website and then search for a specific film on the app to watch it from your mobile device. The movie streaming app Vudu installs on Android, iPhone, iPad, and iPod touch, and also works with Chromecast. Yidio's free movie app works on only a few devices, but it's actually a pretty handy app that shows you exactly where you need to go to find free movies. You can filter the movies in numerous ways, such as by premiere date, MPAA rating, and genre, and even hide the ones you've already seen. Another option is to filter the movies by app so that you can find free movies or ones that are available in an app you already have on your device. On that note, since most of the movies on Yidio are not actually hosted on Yidio's website, you'll be told to install other apps to watch the movies on, such as Sony Crackle or Hulu. The following platforms can install Yidio: iOS, Android, and Amazon Kindle. Popcornflix is another free movie app that lets you watch free movies away from your computer. A few featured movies scroll across the main page, and you can browse through movies by genre. There's also an area of the app just for new arrivals, the most popular movies at Popcornflix, and Popcornflix originals. You can also add movies to a queue to gather them in one place, even without logging into an account. Movie streaming through Popcornflix works on iPhone, iPad, iPod touch, Android, Amazon Kindle, BlackBerry, Roku, Xbox, and Samsung TV. There's also a Popcornflix Kids app for iOS and Android users that's exactly the same as this app except it has films just for kids. The free movie app for SnagFilms is available on most major devices, is simple to use, and lets you share films over social media. You can scroll through the genres in the Movies section and view other sections of movies on the main page. SnagFilms streams movies to iPhone, iPad, iPod touch, Android, BlackBerry, Roku, Boxee, Chromecast, Windows, Kindle, PlayStation 3, PlayStation 4, Xbox 360, and Panasonic Blu-ray players. Pluto TV is a versatile service that has apps on a variety of smart TV and smartphones. You can use it to watch live TV and movies for free as well as stream on-demand movies. Pluto TV's movies are available in a number of genres like drama, action, and horror. You can also view the most recently added movies and popular movies on Pluto TV. Since Pluto TV has live movies, too, you can start watching them on Channel 51 onward, though movies are found in other channels as well. The Pluto TV mobile app lets you hide channels if you'd rather not watch movies from specific sources, as well as view the description of movies that are playing later but that aren't live right now. Streaming Pluto TV videos works from Android, iPhone, iPad, Roku, Amazon Fire TV, Apple TV, Android TV, Chromecast, Sony TVs, Samsung TVs, Vizio TVs, Windows, and macOS. In the iPhone app, Internet Archive's movies are a bit hidden in the menus. Though once found, you can find genres and even sort the movies by popularity, date added, or hand-picked films by Internet Archive. An app for Internet Archive is available for iPhone and iPad devices. This is not the official app released by Internet Archive (because they don't make one). However, this third-party app still provides all the same movies from the official Internet Archive website.